Germantown, Tennessee—September 10, 2018—There are students all over the Houston High campus tucked away in corners learning how to tango. This year’s band program, according to The Houston Band Director Matt Taylor, “centers around the work of Astor Piazzolla”. The 20th Century composer was an Argentine tango composer and arranger. His work revolutionized the genre of tango to the more specific nuevo tango which includes elements from the traditional tango as well as jazz and classical music. The passion and the excitement of the music has inspired the band to tell a story of love and then many iterations of that. Audiences can expect aerial images of roses and hearts and, of course, dancing. The program begins, as one would expect, with the color guard dancers working their way through sections, dancing with the band members. When asked how many band students had to learn the complicated Argentinian dance, Taylor laughed, “upwards of 60 students had to become proficient in the tango”. 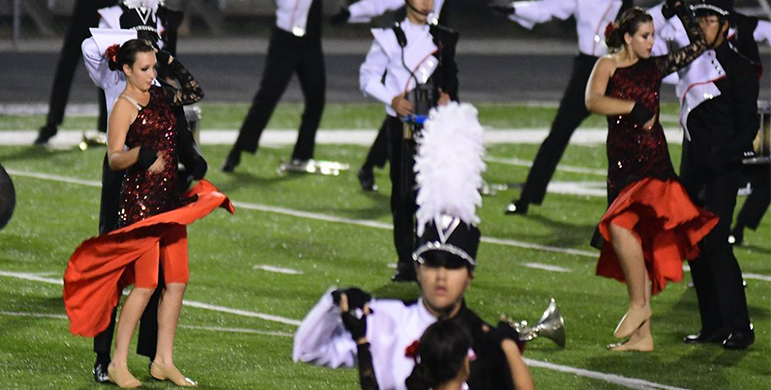 Something, he says would have been rather impossible without the tireless efforts of Brittany Roberts who has signed on for a second year as the color guard Coach at Houston. “She has a background in dance and color guard, so it was a nice fit this year,” said Taylor on the dance intensive program. 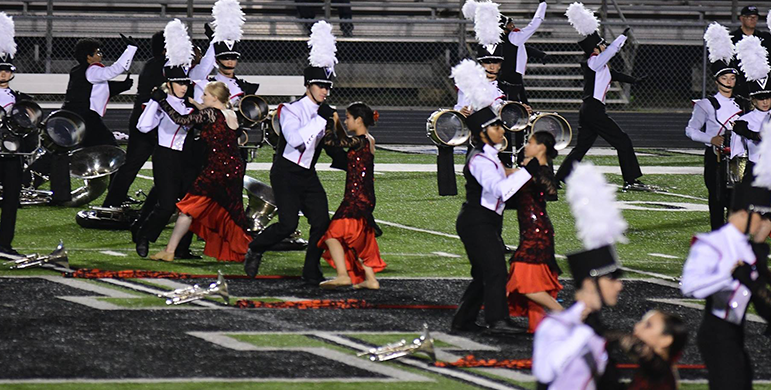 The Germantown community can catch the exciting performance at any one of the upcoming home football games. 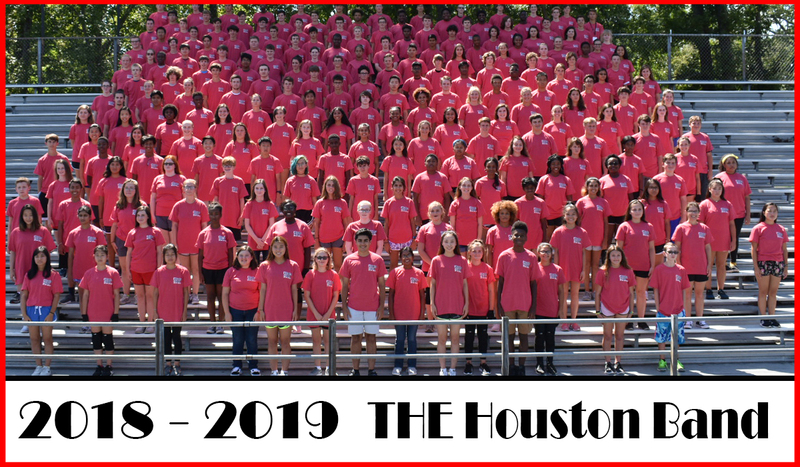 Aside from halftime performances, The Houston Band is simultaneously preparing for its marching band competition season. They will first head to the WTSBOA Marching Band Festival on September 22nd. The following weekend they will compete at a brand new festival being operated by Collierville High School. Taylor is excited to partner with his Collierville rival for the new competition that will be so close to home. “We [the boosters] will be selling concessions and helping out in as many ways as we can to help make this new competition successful,” said Taylor. After that, they will return to the Paragould Marching Band Competition where they are the current reigning champions. Lastly, their marching season will be punctuated by a performance at Arkansas State in a big college stadium.